Almost every patient that suffers from a spinal cord injury suffers from pain. With each person, the pain varies in intensity, frequency and duration of episodes, and the type of pain experienced. Chronic SCI pain may begin at the time of injury or develop slowly over months or years. Chronic pain persists for long periods of time and often does not respond well to pain treatment. According to some reports as many as 90% of persons with SCI have had chronic pain. This pain can be at its best annoying, and at its worst it seems unbearable. Pain can interfere with work and social activities as much or more than functional loss. In fact, as many as 37% of people with SCI pain would trade bladder, bowel, or sexual function for pain relief if given the choice. What Causes SCI Chronic Pain? It is unlikely that any one mechanism is solely responsible for the onset of chronic pain following SCI.Musculoskeletal pain results from overuse of tissues in the body, such as bones, joints, and muscles. It often becomes worse with movement, and eases with rest. This pain usually responds well to existing pain treatments, such as narcotic analgesics and NSAIDS, and will often go away when the body heals or when the problem is removed. Many types of chronic SCI pain are due to abnormal processing of pain and of normal sensations. For example, the spinal cord and the brain may interpret otherwise normal sensations as pain. Pain due to this phenomenon is termed Neuropathic Pain. SCI pain can be at the level of injury or diffusely below the level of injury. It is unrelated to position or activity, and often worsens with infections. Current pain treatments include opioids and neuropathic medications. The response rates to these treatments are often limited by side effects. Neuropathic pain at the level of injury is due to damage to the actual nerve roots, or to the spinal cord itself. Doctors and other health care professionals may refer to this as “segmental deafferentation” or “girdle zone pain”; pain at the border of normal sensation and anesthetic skin. This pain is usually bilateral and follows a circumferential pattern, for example from your stomach around to your back. Like other types of chronic pain, this can develop during the first few weeks after initial injury, or may develop more slowly over time. This pain is often associated with allodynia (pain from something that is not usually painful, i.e. light touch) and hyperalgesia (extreme pain caused by something that normally causes a little pain, i.e. pin prick). Unfortunately this type of pain does not usually respond to opioids (such as morphine), one therapeutic approach to managing pain. In some cases, this pain does respond to neuropathic medications (such as certain anticonvulsants or antidepressants). Some physicians will recommend nerve root blocks that will make the painful area numb. This numb effect only lasts a short time. Another approach sometimes recommended is to have a surgical procedure such as DREZ (dorsal root entry zone), rhizotomy, or cordotomy. These procedures ultimately raise the level of injury and may worsen pain over the long term. Neuropathic pain diffusely below the level of injury is due to actual changes that have occurred in the central nervous system. Although there are various descriptors that each individual uses to describe her or his pain, some common descriptors include tingling, numbness, aching, throbbing, burning, or squeezing. It is often described in specific body regions, occurring on either side of the body or both. It may be constant or intermittent, and is unrelated to position or activity. Urinary tract infections, decubitus ulcers, and bladder/ bowel distension often exacerbate neuropathic pain. 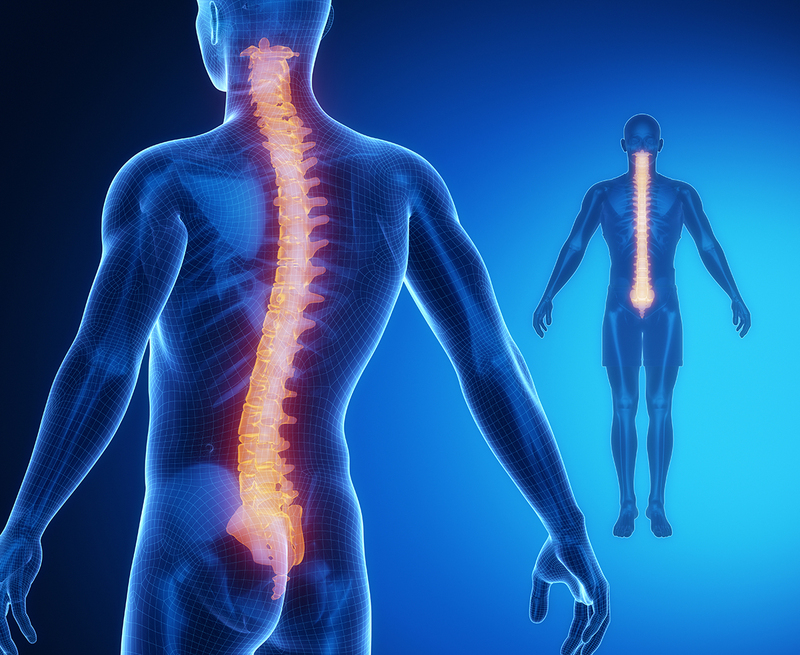 These are three of the most common complications seen in people with spinal cord injury. For this reason, it is important to prevent or immediately treat these conditions. Our research aims to target the specific mechanisms believed to cause SCI pain. Our studies examine novel drugs that hopefully reduce chronic SCI pain with fewer side effects than currently available medications.